Tartous, for reference, is the relatively peacefully-held major port city and capitol of Tartous province. It's home to Russia's only extraterriorial navy facility outside the old USSR, and of great strategic importance. We have little to report from there yet, but it clearly needs a slot. It's province at large has seen many problems, especially the areas around Baniyas at the north edge. Jableh/Jablah (Google translates "protoplasm") is a Sunni-majority town near Baniyas with a vibrant extremist activist network frequently working with their counterparts in Baniyas. Geographically, however, it lies in Latakia province, almost halfway to Latakia city. Al-Bayda is a smaller Sunni-majority town nearer yet to Baniyas, in the mountains just south of the city and closely linked by kinship with like minds nearby, making the whole area between and around them into the kind of place the roving al-Bayda and Baniyas massacres of May 2013. 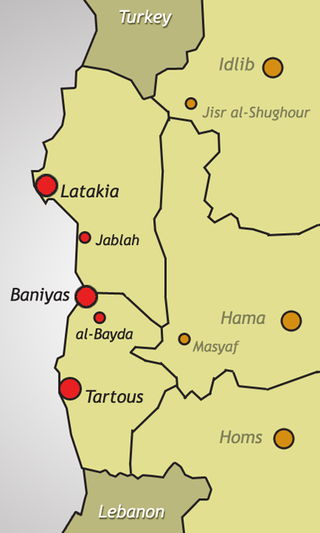 Latakia is one of Syria's primary cities, home to a major port, and the capitol of the Latakia province, the most Alawite-predominant one in Syria. It's been relatively peaceful but has seen some horrific episodes. Some locales in its provincial hinterland have seen much worse. Those from the early weeks should be brought here when found. This alleged would-be Emir is apparently alive and well, free in Turkey, and helping the "legitimate representatives of the Syrian people." To our "Sheikh Anis' ( انس ) Aarot," a Reuters report on the rebel push into Latakia, August 2013, cited one "Sheikh Anas Ayrount, a member of the Syrian National Coalition who is from the coastal city of Banias," as touting the closeness of strikes on Assad's ancenstral hometown of Qardaha. Sheikh Anas Ayrout now has his own page here. (copied from Al-Bayda Massacre talk page I came across this: activist videos of a April 14, 2011 raid on al Bayda. ...Videos leaked at the very beginning of the events showing clear sectarian slogans and even actions as early as March 25th. This video for example shows the very first demonstration in the coastal town of Jableh. Not only that you can clearly see swords and sticks, but the person speaking also incited protesters to “drink the blood of anyone who comes between them”. Protesters also chanted “Down with Shiites”, which is quite outrageous in a town also inhabited by many Alawites who belong to the Shiites sect. Syrian forces shot dead at least 72 people ... A day after President Bashar al-Assad scrapped decades of emergency rule, his forces used live ammunition against demonstrators in several towns and cities ... "The Syrian security forces committed massacres in several towns and regions today (Friday), so far killing 72 people and wounding hundreds," said the London-based Syrian Human Rights Committee in a statement received by AFP. Several rights activists also published provisional lists recording the deaths of more than 70 people. ... Ammar Qurabi, chairman of the Syrian National Human Rights Organisation, spoke to AFP of "49 deaths and 20 people reported missing" on Friday. Police and soldiers opened fire from rooftops in the coastal town of Jabla, though no protest was being held at the time, witnesses said. ... Security forces in Jabla, a town of 80,000 near the city of Latakia, opened fire after a visit to the town by a new regional governor, an unnamed human rights activist told AFP news agency. Four killings on June 5 are interesting - 2 Ojeils and 2 Istanboulis - the latter is the name of an FSA fighter from Jableh killed April 4. This is a small and obscure event of March 30, 2011, with about two dead and a few injured, with all circumstances being murkier than one would think. The incident came following days of contested unrest. Loyalist sources described this so: "The city of Latakia in the last few days witnessed shooting incidents that led to the fall of more than 12 people, including two militants , were killed and some 200 security elements injured." A short period of calm followed, then following a defiant speech by president Assad in Damascus, protests broke out anew in Latakia on the 30th. The activists cites the same places in explaining "Gunfire rang out from the side of the police and government forces between the school 6 Tishreen and the train station." Not just a bit further to one side in the school, it was the forces outside near it. This might be worth mapping out visually, but even without that, we can see where this is going. It might deserve a slot on the unseen snipers page, but the allegation is that it was visible and seen fire from ground forces. 2-6 people were injured and/or killed, all unclear: Syrianews reported vaguely but it seems appropriately "fire from an unknown source has led to casualties among the demonstrators have been appreciated by the witnesses between 2 to 6 deaths and injuries "  The video record suggests four adult males at least injured in the streets in daylight, only one looking obviously fatal but none seen quite dead yet, plus at least one other adult male, killed elsewhere and seen in the morgue. 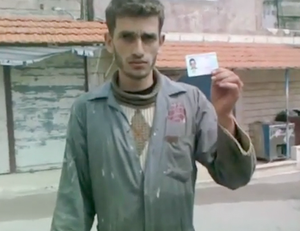 The VDC lists two Latakia civilians killed March 30, the morgue one and one street victim. The former is Mohammad Abdulnour, with video attached: http://www.youtube.com/watch?v=O_a3Bl5WfM4 - short-haired young man, shot in lower back, seen only in the morgue, face-down - black pants, black leather jacket, might have been a night-time "protester." The Activist report on March 30 mentioned that "One of the martyrs of today was Ahmed NoorAllah, a soldier on vacation who participated in the protests." I could find no further information on this: A seller of something with that exact name is listed by that name here for Saliba, Latakia. Unless his name was mangled into the mentioned Mohammad Abdulnour, the VDC doesn't list him, and only re-posting of this report repeat the name in the right context. Other than Mohammad Abdulnour and perhaps the vacationing protest soldier, those kiled and wounded appear to be markedly non-militant protesters, as opposed to the Salfist gangs authorities called them. If these few victims were part of the same protest the men and boys filming them and running around shouting Allahu Akbar, they stand out as the least militant capable. This is, I've argued, one of the criteria for the unseen snipers, allegedlt of the regime, really provocateurs - too young and scrawny, too old and stiff, too dim or innocent, not Sunni enough, etc. It's the least loss to the cause and the greatest propaganda value, making it a no-brainer obvious choice for false-flag snipers that might be at work here. April = 54 3 FSA, 51 civilians - 24 killed in Jableh April 24, the rest like before - mainly central districts or unspecified, and fairly sporadic. May = 11 1 executed refusing soldier, 10 civilians - above and here, a few entries from Raml Janoubi - the Palestinian "camp" here, Latakia's answer to Damascus' Yarmouk camp. July = 5, different areas - there was a crackdown here maybe. September = 10 - a boy from the Palestinian camp was abducted and tortured to death September 15. "Mahmoud was arrested on 7-9-2011 and his parents received his body on 15-9-2011" Some shady terrorists would probably be working in there. Three others - adult men - also detained and killed, 2 with torture. 2 were shot, one - engineering graduate - beaten to death in Knenas district. November = 3 10-10-3 - good trend. ↑ Two links from mid-April 2011, same or similar content, with the name Biassi. April14: http://www.syriakurds.com/home/index.php?option=com_content&task=view&id=23717 April 12: http://www.odabasham.net/show.php?sid=44687 Another page, May 2012 http://syrianncb.org/2012/05/30/الثورة-السورية-قائمة-معتقلي-محافظة-طر/ lists people arrested by "the regime" including many of these, with 16 Biassis listed and dates given, mostly April 11/12. 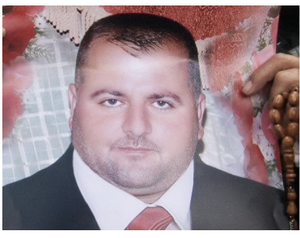 ↑ aoda.com Forum discussion May 20, 2013: it mentions (Google translated from Arabic): "News that Ahmad Biasi died under torture in the State Security Kafr Sousse." Cited, Cham ( شام ) and Ugarit, "quoting BBC." Others say al-Arabiya and/or Al-Jazeera also reported the story. This page was last edited on 10 July 2017, at 17:35.